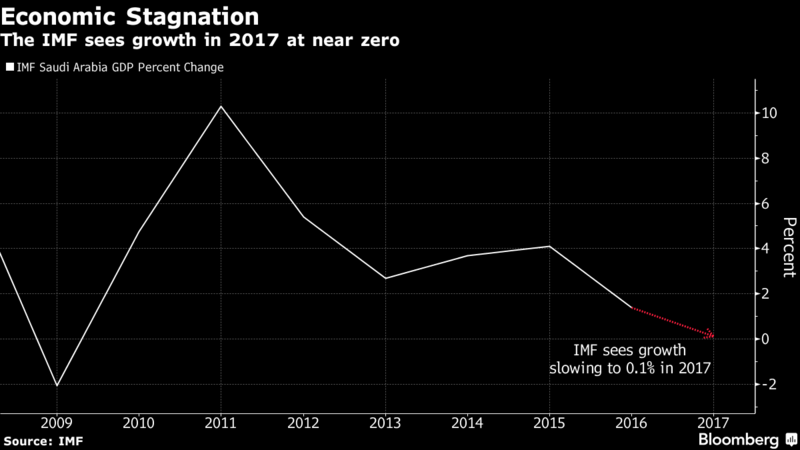 International Monetary Fund in July lowered its 2017 growth forecast for Saudi economy to 0.1%. Even before this revision the number was not very handsome, at 0.4%. This comes amid a backdrop of not-so-good news and a promising future of narrowing fiscal gap. A (regressive) tax on expat dependants, (regressive, again) VAT implementation and (removal of something regressive, perhaps) stage-wise removal of fuel and power subsidies has been praised as resulting in the reduction of the 17.2% fiscal gap standing at the end of 2016. As of now the fiscal gap is being financed by raising debt. The latest round of government borrowing from domestic banks raised SAR 17 billion (USD 4.5 billion) in sukuk bonds. It was 3 times oversubscribed, showing the confidence of the local banking sector and the natural inclination to place funds on secure high yield (2.95% – 3.55%) rather than the low yield placements with SAMA (Saudi Central Bank). This will be positive for Saudi Banks as indicated by Moody’s (and yes, it doesn’t take Moody’s to work that out). So fiscal deficit is taken care of (will be reduced to under 1% of GDP by 2022 – yes, that’s the number IMF got from its crystal ball, read: forecasting uncertain data on the basis of certain data with a leap of faith and a heap of assumptions in between). Another pertinent area is healthy economic activity – employment, consumer spending and credit growth. Consumer spending is on a decline in spite of deflationary trend in prices, especially in food & beverage and transport sectors. Unemployment has touched 12.7% with 55,600 (22,400 Saudis, rest expats) jobs lost only in the first quarter of 2017. On top of this average wage has also dropped. The credit drop (borrowings by private sector from banks) of 1.7% YoY in June (which is a fourth consecutive drop) indicates lower capex activity in the private sector. Investments abroad have risen and discussion of taxing them is underway. So, its not a pretty picture. And we have not even started the discussion on oil prices. And yes, the forecasts of IMF are very sensitive to oil prices remaining stable. So if oil is spilt, all might slip. The new expat dependant tax, lower wages, no or less increments, prospects of inflation following elimination of subsidies on fuel and Saudization trend are disturbing the expat community in Saudi Arabia. Here are my two cents on the issue. Every person has to evaluate his/her own situation in this regard. For instance, if you are at a mid-managerial position with family, you would be making somewhere around SAR 15,000 to SAR 25,000 per month. And the expat fee that you’ll pay for the dependants will be approximately within 5% of your package – not a bad rate of tax if you don’t compare it with zero, those days are gone. If your salary is above that, kudos! If its below, you might want to explore the job market. As for VAT and elimination of subsidies, I would advise you to look for countries having a lower cost of living adjusted for wage levels than Saudi – and also let me know if you find one. Now – the elephant in the room – Saudization. This is a serious concern, especially for expats working in non-managerial and non-technical areas. Assess your position, if you think there is a Saudi national who can do your work (consider qualification, expertise, experience with a discount factor) and available in the market within a 20% wage range (higher, of course) then there is a good chance he will be doing your work, if not today then tomorrow. Prepare to jump. And there is nothing to disagree with here, Saudi Arabia will promote the prospect of its nationals just like any other country should – and does, right? If the unemployment rate is north of 12% this is a fairly liberal step by the government. Try getting a work visa in the UK or the rest of Europe. Next Post Why Neymar(s) get (USD 263) millions. And WTH.